We made fast friends, enjoyed shore excursions and lavish meals in onboard restaurants together, and were laughing often and toasting each other around our dinner table. At night, we were counting our lucky stars from a sun deck while our ship smoothly and almost imperceptibly was making its way along the mighty Danube. 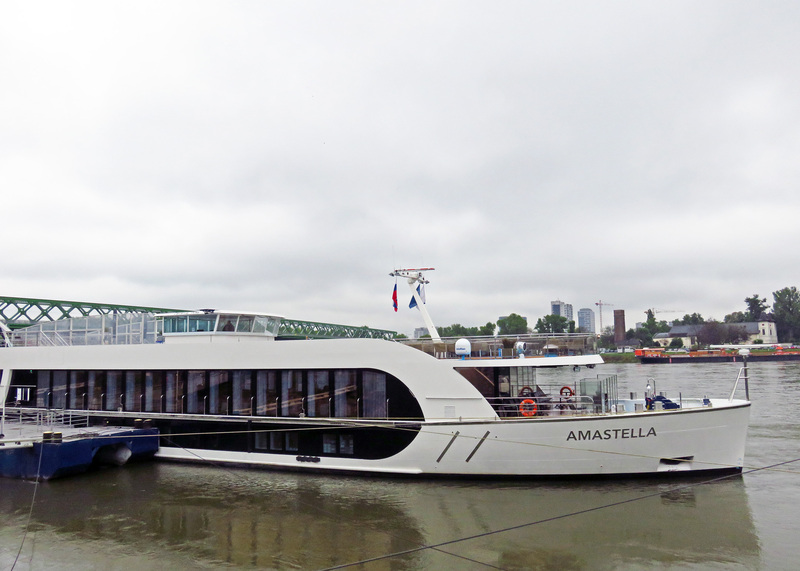 Built in 2016 in Netherlands, the snow-white elegant AmaStella, with its advanced river vessel design, clean modern décor, twin balconies in most of its 79 staterooms, and only adult passengers on board for the late April trip, looked positively heavenly to me, whose one and only cruise experience before AmaWaterways has been chalked off as two – the first one and the last one! That time, years ago, I embarked on a gigantic ocean cruise that proved to be overcrowded, impersonal, and hardly relaxing. I remember staying in long lines to get off the ocean liner and back on it for every shore excursion. I still shudder at the memories of the liner’s swimming pools day and night filled with cavorting children; of the captain’s dance party attended by properly dressed couples as well as by young parents in their pajamas who came out with baby strollers and milk bottles to partake in the festivities; of the 24/7 eateries with abundant but tasteless food, and the overall feeling of vast and unfriendly place like a county fair on a cold rainy day… I didn’t think I’d be tempted to go on a cruise ever again. A chance encounter with an enthusiastic advocate of AmaWaterways first piqued my curiosity, then exited me with a possibility to travel in luxury on an all-adults cruise, seeing the most enticing sites of several countries and never dragging my bags from one hotel to another, and finally made me fall in love with the company’s truly wonderful ways! Launched in 2002 by the former Viking River Cruise President, Rudi Schreiner, high-level travel executive Kristin Karst, and Brendan Worldwide Vacations founder and owner Jimmy Murphy, AmaWaterways with its substantial fleet of upscale vessels, several levels of walking tours onshore for more and less athletic participants, guided bicycle touring, and award-winning culinary program is rightfully considered the best in providing river cruises, and is touted as “the best value for the quality” by the River Boat Ratings and Evaluations independent site. 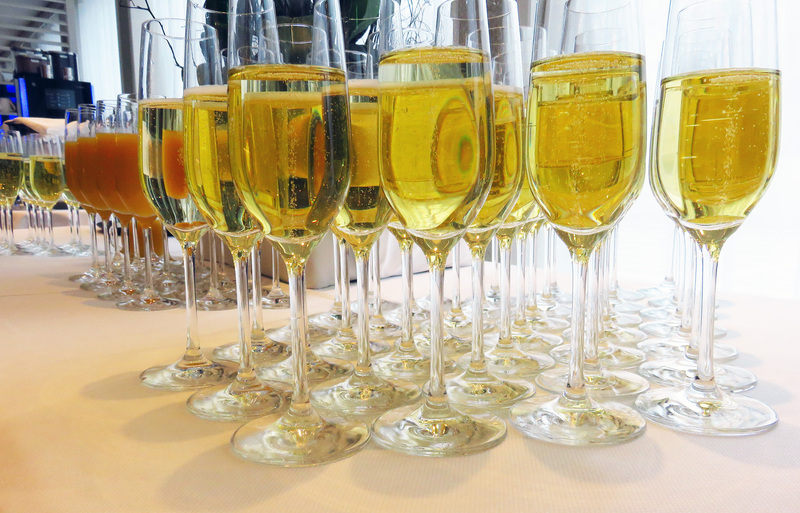 “One gets the sense that management is constantly thinking up ways to appeal to a younger and more sophisticated clientele,” notes riverboatratings.com. 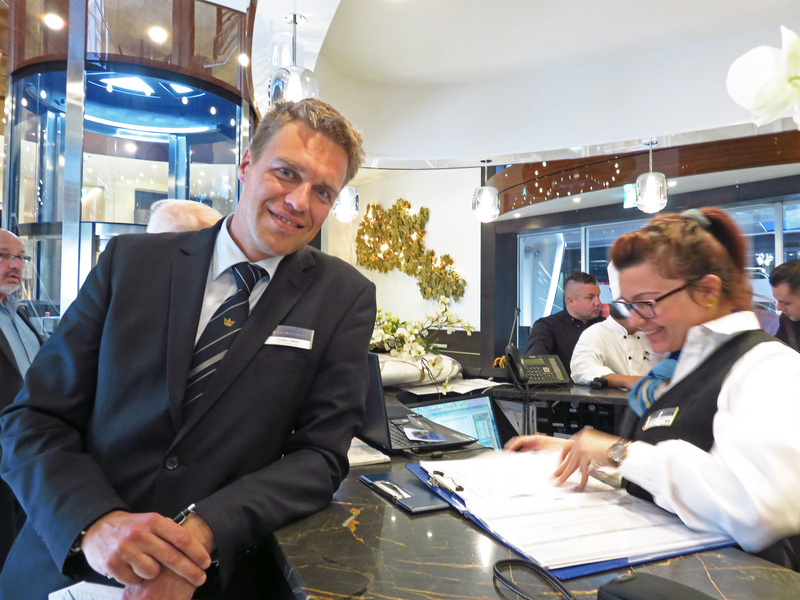 Warm, helpful, attentive, personable, smiling – those are just the first-come-to-mind adjectives to describe the service on all levels of dealings with AmaWaterways. As always, before my trip I was roaming multiple air travel sites in search of a shortest, most affordable, most comfortably timed flight. 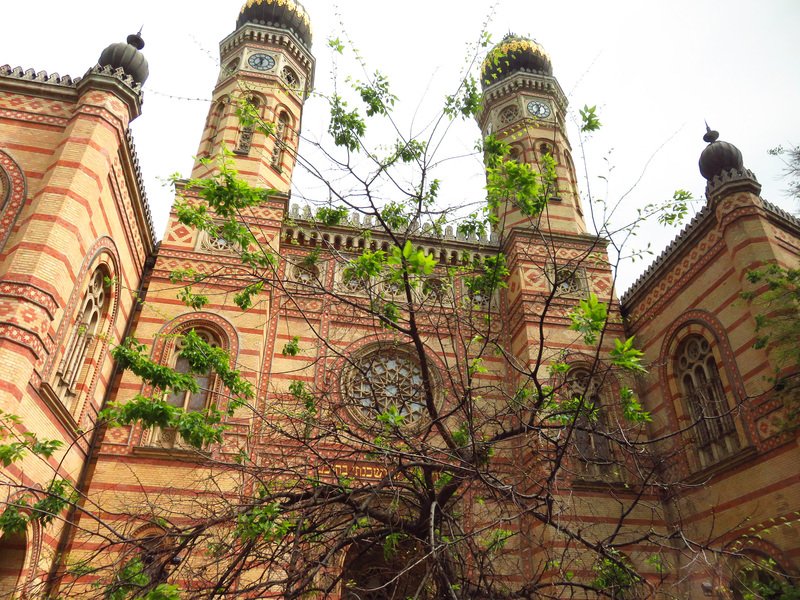 Eventually, an AmaWaterways agent recommended a perfect flight that arrived in Budapest in time for my transfer to the river port, and it was all smooth sailing from then on. 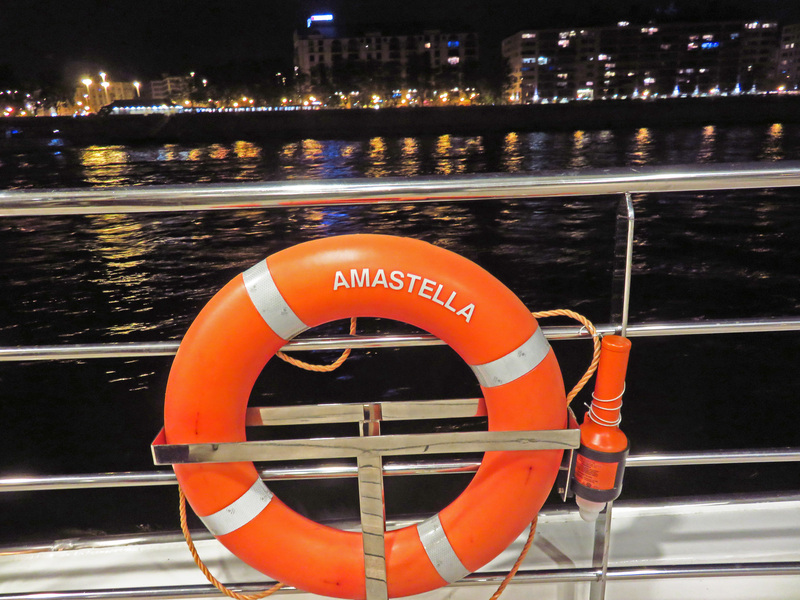 The arriving passengers were greeted by the AmaStella team with a champagne reception and individual chaperons to take us all to our respective staterooms. 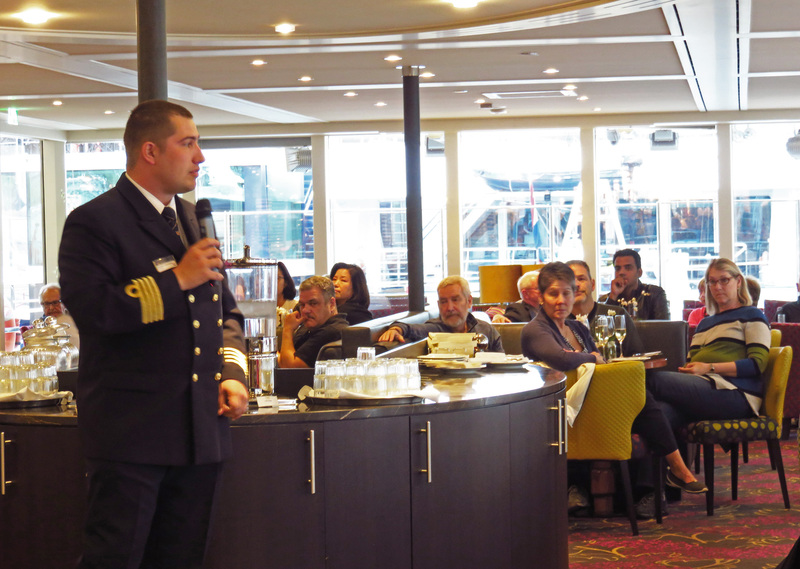 The cruise manager introduced the crew, and the captain briefly described safety features before everyone was invited to a beautifully served welcome dinner. 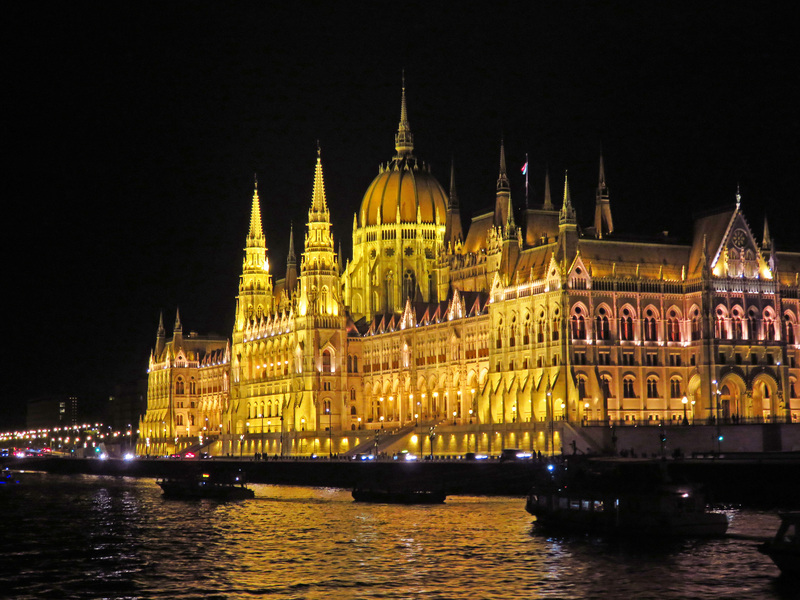 After sunset, the ship sailed past Budapest’s gothic Parliament building – the largest in Europe – on a special Illuminations Cruise along the city’s glittering riverfront. 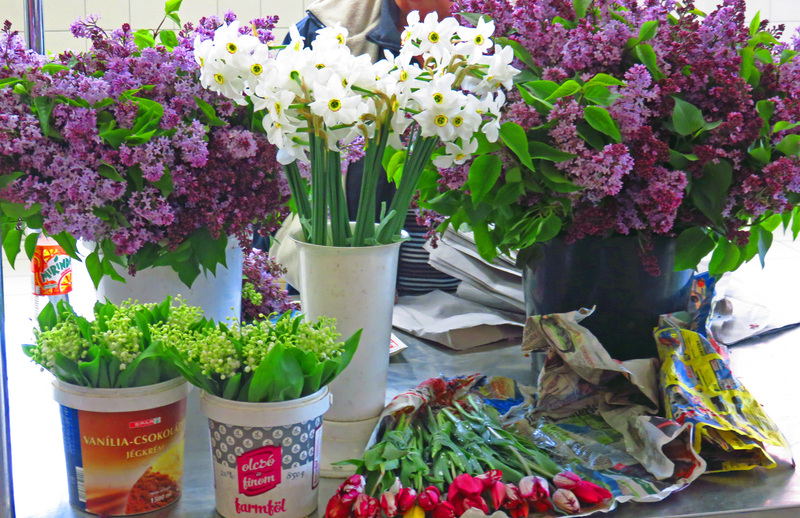 Next morning, on a Budapest guided walking tour, my new friends and I marveled at the bounty of the Great Market Hall overflowing with flowers, foods, arts and crafts, and many-many kinds of paprika. 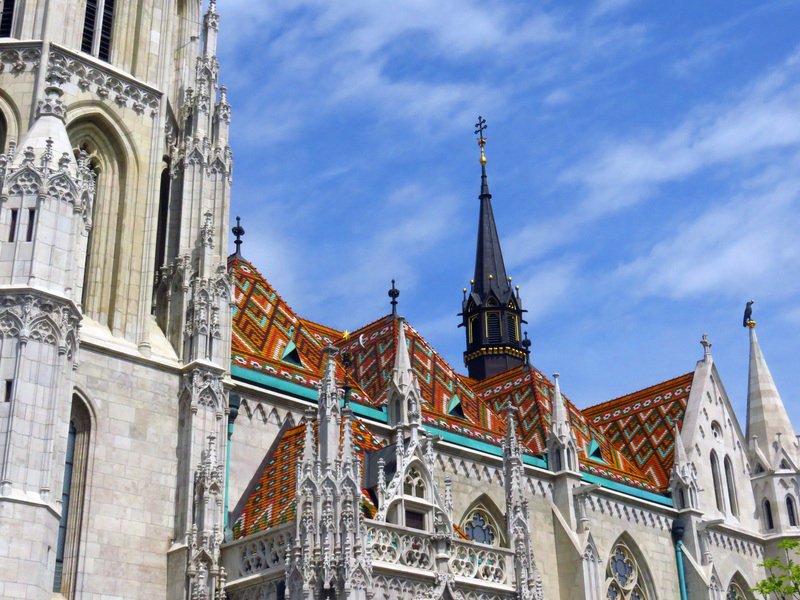 We explored the iconic sites of Buda and Pest that merged into one glorious city in 1873 on both banks of the Danube – from the vast Heroes’ Square and Hungarian State Opera to the historical Great Synagogue and colorful St. Matthias Church. Some of us climbed the 160-feet Castle Hill in Buda, others took a bus ride, but a great and unforgettable time was had by all! 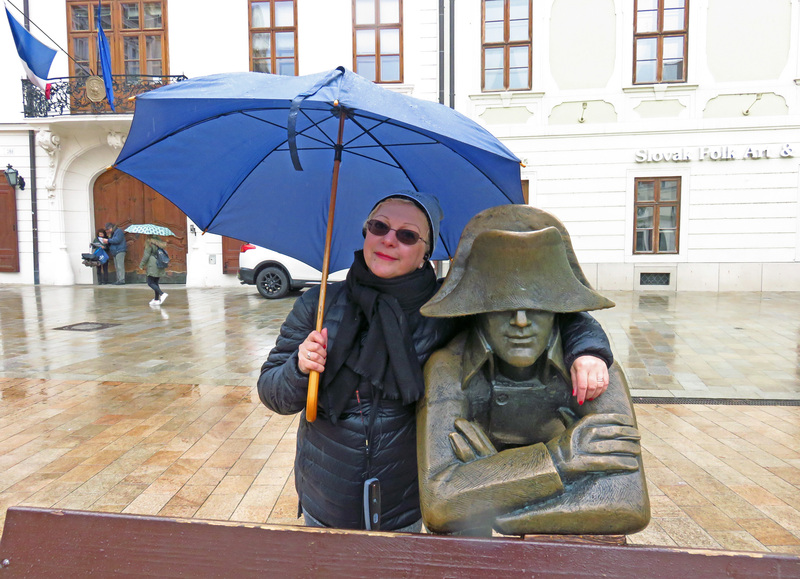 In Bratislava, after a guided excursion to the Old Town Hall, St. Martin’s Cathedral, and the historic Main Square, we were singing in the rain and photographing each other hugging street art sculptures. 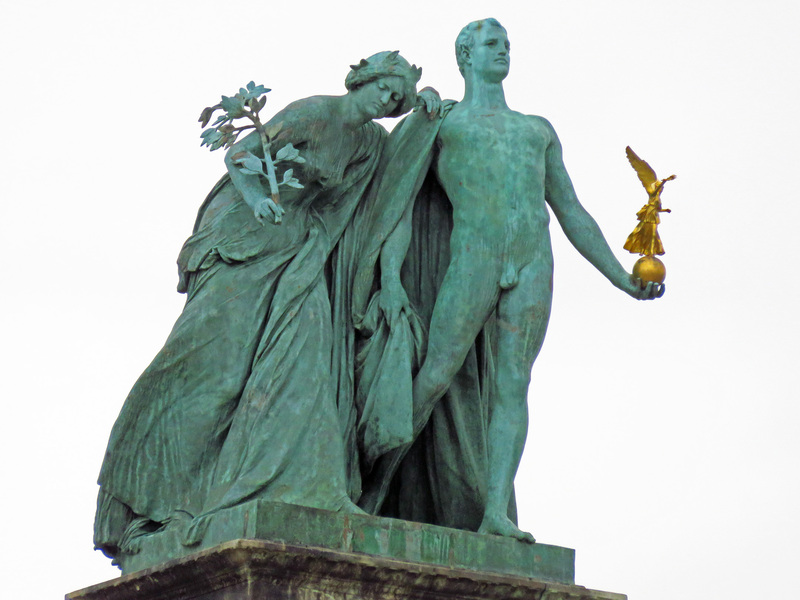 I picked a bronze Napoleonic soldier, leaning on a street bench, who according to the urban legend woke up one morning too drunk to follow his regiment. 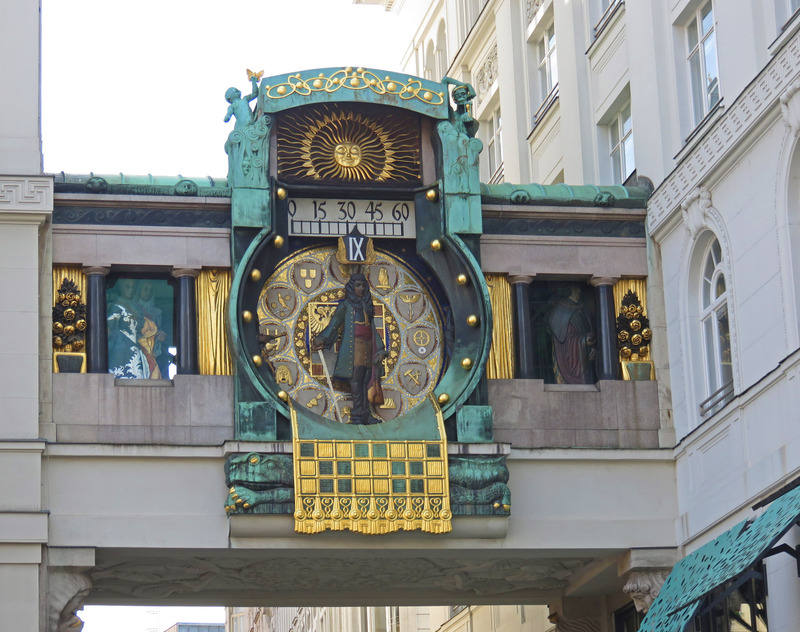 Then it was a fascinating tour of Vienna with a knowledgeable and artistic guide who entertained as much as she educated us on the history of the former ostentatious capital of the Habsburgs’ Austro-Hungarian Empire. 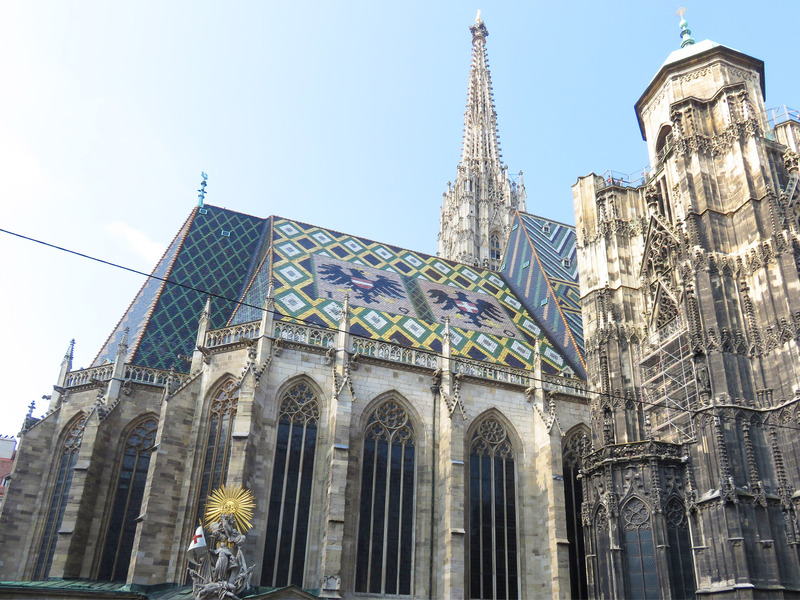 I picked a Special Interest tour titled Hidden Vienna and offered on the cruise itinerary as an alternative to the regular walking tour. Back alleys and secret spaces in existence since the Middle Ages took us to the Anker Uhr clock, Mozarthaus, and the underground catacombs of the St. Stephan’s Cathedral with mummified remains of the royals and bishops, and morbid rooms constructed from the bones of black plague victims. That night, the majority of AmaStella passengers were enjoying a concert of Mozart and Strauss music onshore, but I was listening to Shostakovich’s “Lady Macbeth of Mtsensk” at the famed Vienna State Opera. 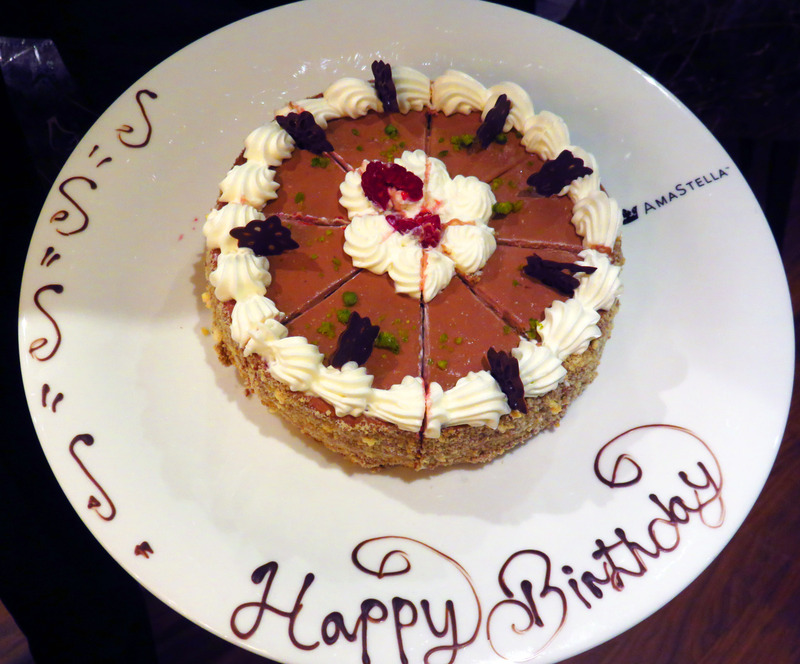 While I was on a city tour, our cruise manager booked it for me, even though it was a last minute request and a full house – and this is a great example of the ways AmaWaterways treats its guests. I still don’t know how he managed to secure an orchestra seat for me in one of the most popular theaters on the planet on the day of the performance! 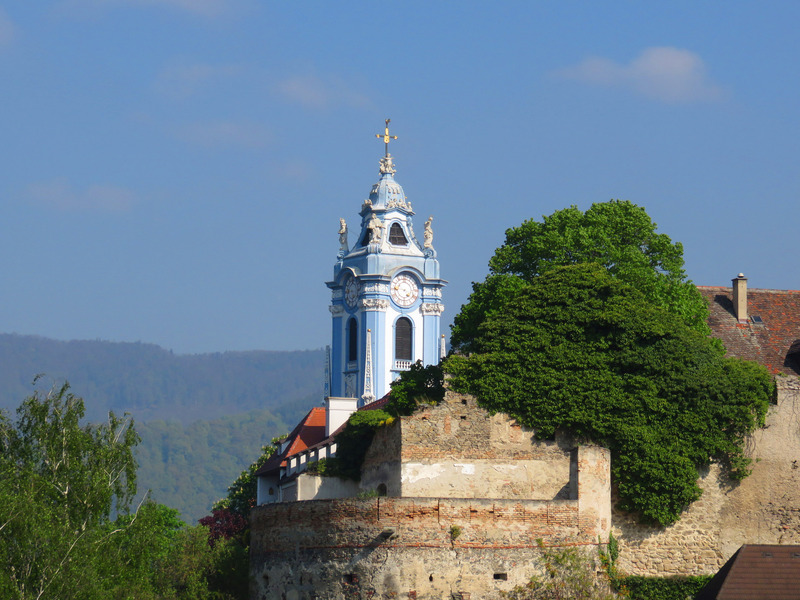 At sunrise, approaching our next stop at Weissenkirchen, I stepped out to my balcony at the precise moment when we were passing by the porcelain-blue baroque Stiftskirche, a cloister tower in Durnstein, considered the most beautiful of its kind in Austria. 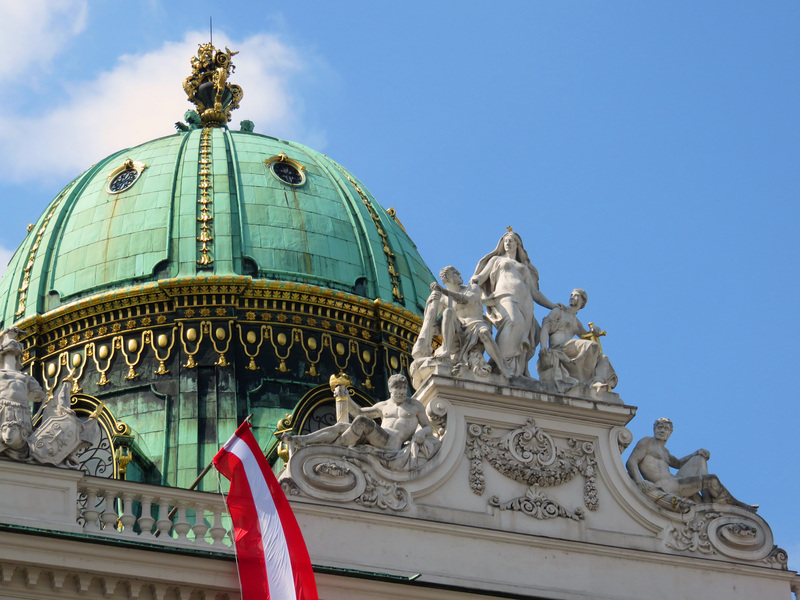 A Durnstein excursion followed, with local specialty apricot liquor tasting, and a tour of the spectacular Benedictine Abbey in Melk with a floor to ceiling gilded church – one of Europe’s largest monasteries and a UNESCO World Heritage site. 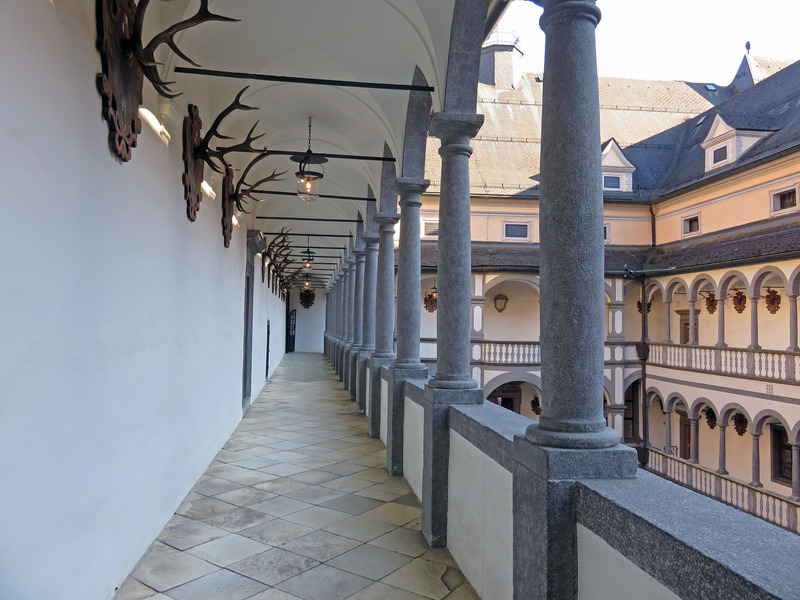 The afternoon walking tour to the Castle Greinburg in Grein presented us with an opportunity to see Austria’s oldest residential castle with an extensive collection of historical artefacts, and the mysterious Sala Terena – a 1625 cavernous room decorated in its entirety with myriads of pebbles. A local dance ensemble performed folk dances for us in the castle chapel. More excellent entertainment followed after dinner, with an onboard visit of the virtuoso trio of female musicians, La Strada, who performed an array of “melodies of the Danube” originating from all the countries located along the river banks. 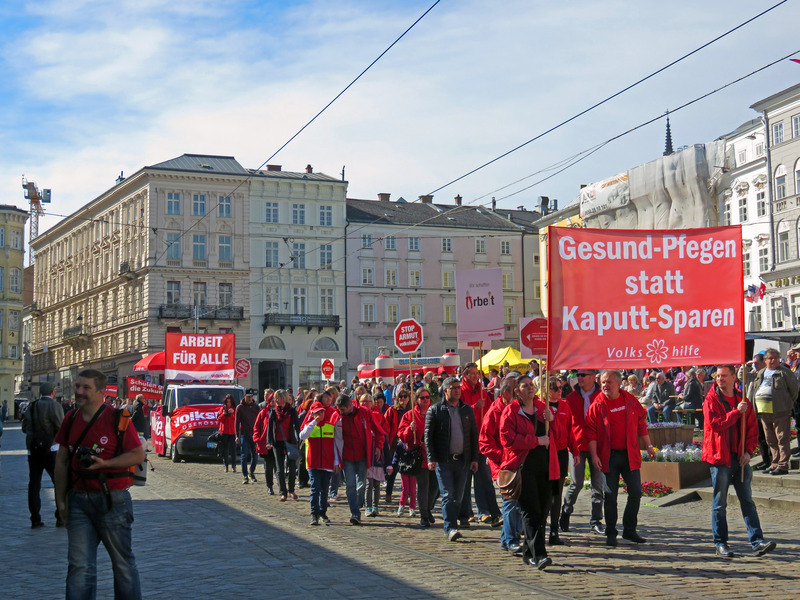 In Linz, where we appeared on May 1, the national holiday, besides the fascinating walking tour with a highly-skilled guide, we were witnessing a Labor Day/May Day parade of the local trade unions, with abundant red flags and pro-labor slogans. 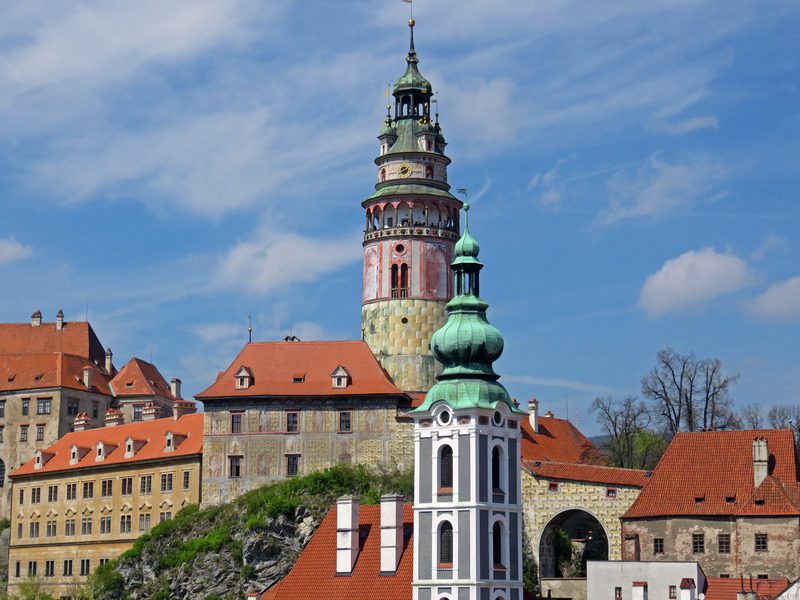 Among a variety of enticing onshore excursions departing from Linz on buses, bicycles, and on foot, I picked a half-day trip to the medieval town of Cesky Krumlov in Czech Republic, nestled in the hills over the Austrian-Czech border. 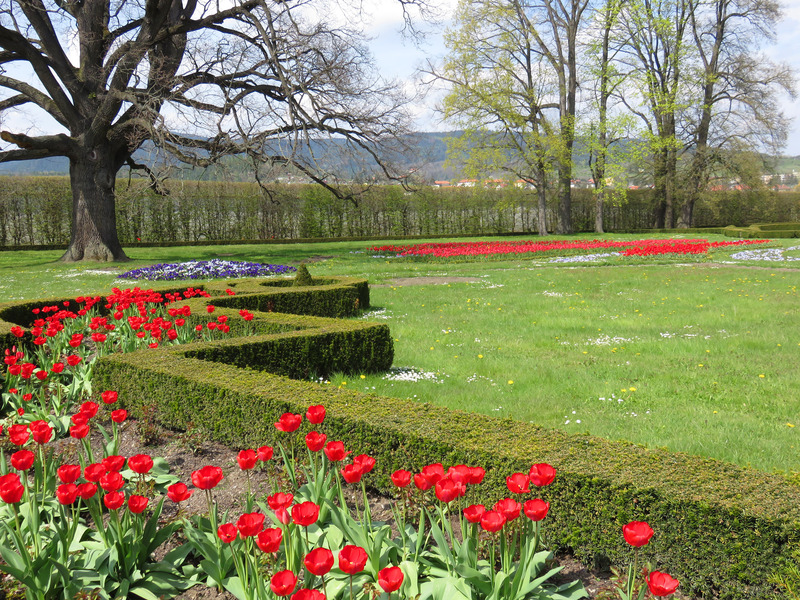 After a guided tour of its imposing, wonderfully preserved castle grounds, we were given some free time which I spent at the baroque gardens with emerald green lawns and patterned flower beds of flaming-red tulips. 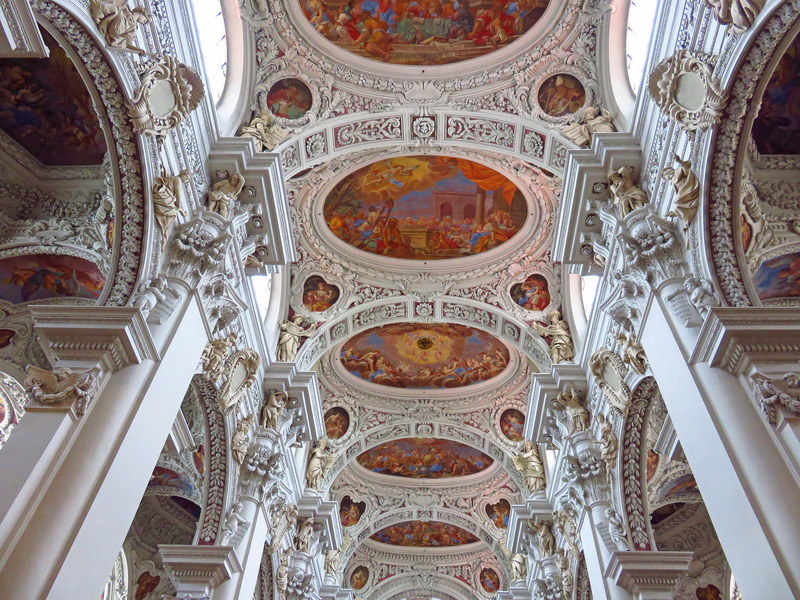 Arriving in Passau, Germany, we visited the most opulent St. Stephan’s Cathedral with baroque and rococo architectural elements, and mind-boggling mural work. Finally, in Vilshofen, a charming Bavarian town, and the last stop of our cruise, a private Octoberfest was presented to the AmaStella passengers in a large white tent spread out right on the dock. 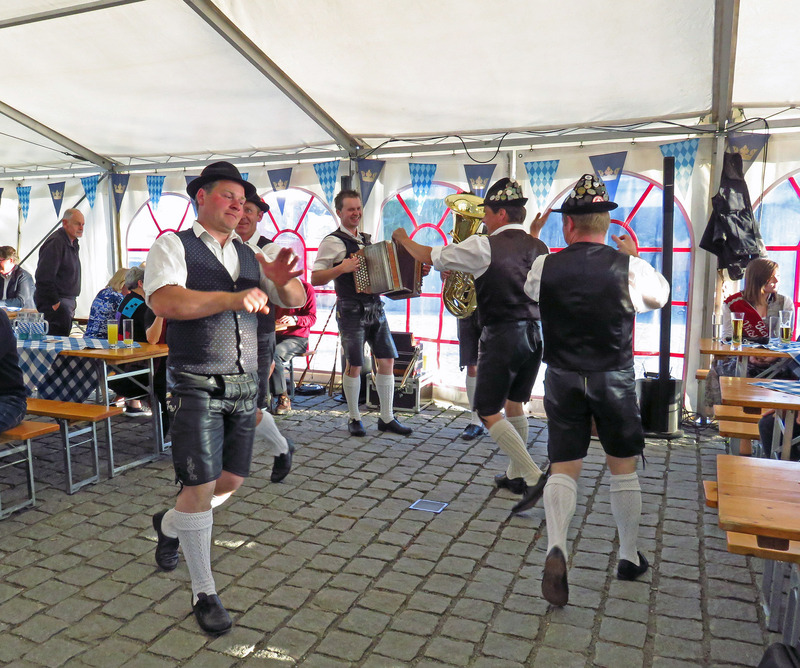 Live music and folk dancing were emceed by the local “beer queen,” and everyone had a chance to indulge in endless amounts of fine Bavarian brew. As if on cue, two white swans appeared by our ship, and lingered nearby, obviously attracted to the boisterous gathering. 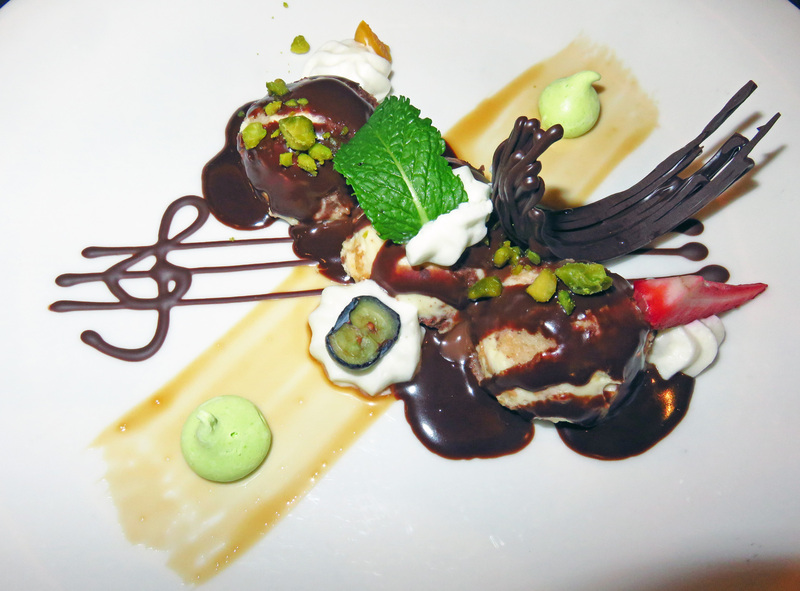 That night, my new friends and I were dining at the Chef’s table in a special small restaurant onboard, feasting on a 10-course tasting menu that ended with a sweet surprise – my birthday cake, made of chocolate, nuts, and berries. Next morning, we were saying goodbye to our wonderful hosts, to the beautiful and lucky AmaStella, and to each other. 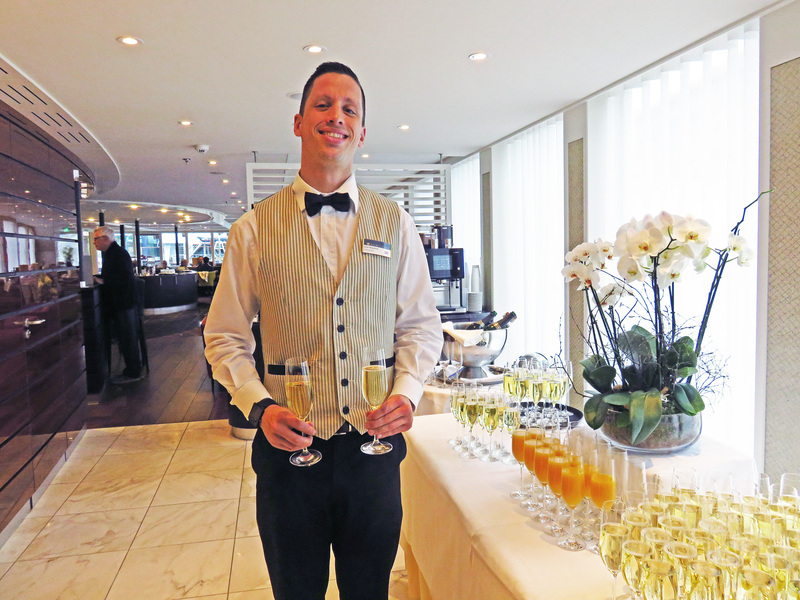 This weeklong adventure changed my opinion of cruises in general, but in particular I’m talking about the wonderful AmaWaterways – the stellar cruise company, sky-high above the rest.